Do you know if you need to hire a Bergen County glass service? While high-quality residential glass installation should spare you from dealing with problems for a long time, accidents and basic wear and tear mean it won’t last forever. 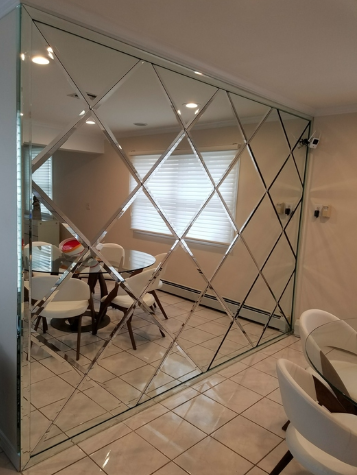 Eventually, you will need to contact a Bergen County glass service to replace items such as shower glass, custom mirrors, or windows in your home. Below are some signs that it’s time to call a Bergen County glass service. It’s Damaged: This might seem like an obvious sign, but some homeowners choose to ignore it, which can be dangerous. When a mirror, door panel, or another glass item is cracked or chipped, pieces could fall off or the entire installation could collapse. Damaged glass is an injury hazard, so don’t wait for a major problem to have it replaced by a Bergen County glass service. It Looks Dated: If you are dedicated to maintaining your home’s appearance or planning to put it up for sale, you might want to check your windows and shower glass. If they look old or outdated, it’s time to replace them with something sleek and new. Call a Bergen County glass service to help you explore your options. Your Home Is Not Energy-Efficient: If your home is drafty and your HVAC system is struggling to maintain a comfortable indoor climate, new window installation could solve these problems. Replacing your windows with models featuring insulated glass will produce considerable savings on your utility bills in the long run. Looking for the Best Bergen County Glass Service? Florian Glass Service makes and installs many glass products and structures commercially and residentially in the Manhattan, Hudson County, Bergen County areas in places such as Hoboken, Upper East Side, Union City, SoHo, Secaucus, Chelsea, Teaneck East Newark, Kearny, Saddle Brook, Saddle River, Fair Lawn, Englewood, Fort Lee, Alpine, Rutherford, and many more! Contact them today at (201) 863-4770 or visit the website. Consider the company’s reputation and experience. Your goal should be to select a well-established Hudson County glass service. This is especially true if you have multiple facilities in different parts of the city. Experienced companies can lend guidance, advice, and expertise. 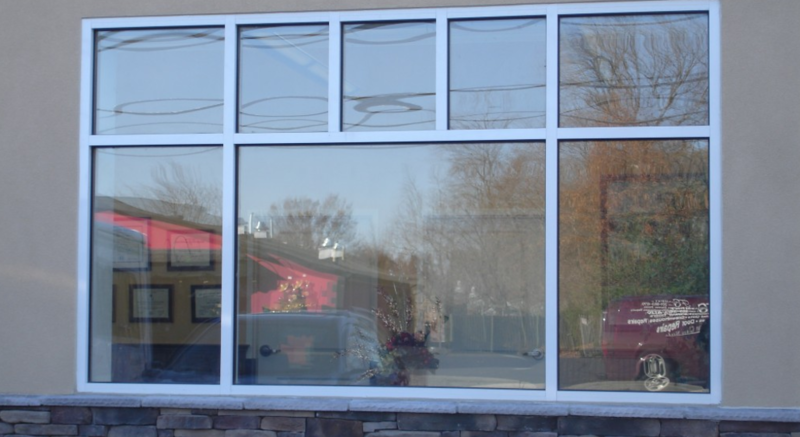 More importantly, an established Hudson County glass service is more likely to offer the strongest product and installation warranties. A guarantee is only as stable as the company that writes it. Investigate whether the Hudson County glass service is up to speed with regard to the latest code requirements and conditions for glass structures. Some companies have even been involved in the writing of national building codes for glass structures. These firms are certain to have reinvented their products over the years to meet or surpass these complex requirements. A good commercial Hudson County glass service will have turnkey services if you need them. A glass company with in-house engineering capabilities will have a better understanding than one without them regarding how different glass options blend with new and existing structures. The last thing any developer or architect wants is a glass structure that looks like an addition. The manufacturer is an ancillary professional to the architect, and the finished product should blend seamlessly with the existing building. It’s important, too, that the Hudson County glass service be involved in the planning phase of the project. This means working directly with facility designers and architects to ensure that the structure conforms to local building requirements, meets the needs of the health-care facility, and saves on energy costs. Having installers as employees is another benefit a Hudson County glass service can offer. If the manufacturer has to contract with another firm or firms to install the glass selected, this could mean third-party trouble down the road. Looking for a Great Hudson County Glass Service? 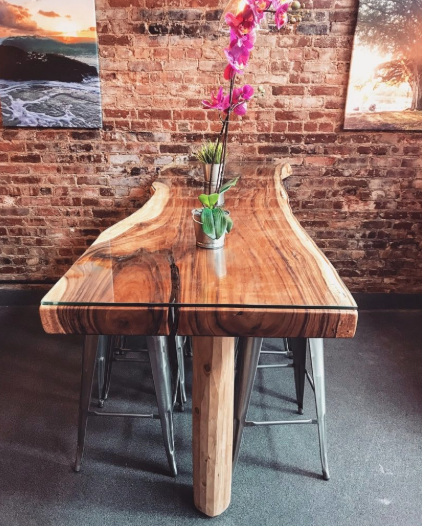 If you’re looking for the best Hudson County Glass Service, look no further than FLorian Glass Service! Florian Glass Service makes and installs many glass products and structures commercially and residentially in the Hudson County area! For more information about Florian Glass and their services, Contact them today at (201) 863-4770 or visit the website. Laminated glass has a different composition compared to tempered glass, which makes it suitable for different applications. Despite best efforts, homes are still susceptible to burglary and the two most common ways are via your doors and windows. Laminated glass is similar to the type used in windshields where as tempered glass is used as a component of bulletproof glass. Let’s go over the minor and major differences that make these two types of glass best fit for different purposes. The use for laminated glass ranges from entrance doors and glass floors to aquariums and display cases. Two layers of glass are sandwiched with a laminate in order to create a sturdy structure. The laminate keeps the pieces held together when the glass is broken. The chances of injuries are minimized because the glass tends to be in the frame. Doors and windows made from this type are considered very safe as they do not shatter easily. Breaking into a home secured in this manner is not easy as it involves a lot of effort and a lot of noise. This laminated variety also provides a good degree of sound proofing in high traffic and noisy areas but this of course depends upon the quality of the laminate material. Tempered glass can be 5 to 10 times stronger when compared to its untempered counterpart. One very noticeable quality of this type is that it breaks down into small granular pieces rather than sharp shards. While being manufactured, the outer surface is put into compression whereas the inner surface is put into tension. Apart from being heat treated, tempered glass is also treated with hydrofluoric acid to etch away surface scratches and increase strength. The tempering process does not affect the stiffness much. As compared to the annealed glass, tempered glass can take a higher load and deflects further before breaking. However once the glass is toughened it cannot be reworked. Polishing and drilling holes into the glass needs to be done prior. When it comes to choosing which type of glass to use, there are a some things you need to consider. Ground level doors and windows made from laminated glass are a safe bet. This is also the most susceptible area when it comes to breaking and entering. This utilization in public buildings and office complexes has steadily increased over recent years. Places prone to severe weather should use tempered glass on the outside. The top two advantages of laminated glass is the increased protection and sound proofing it offers. It’s a great installment for a corporate room setting. When it comes to windshields laminated glass is an obvious choice because in case of an accident the chances of the driver and passengers being cut are reduced. Looking to Install Tempered Glass or Laminated Glass? Florian Glass Service offers many glass products and services for buildings commercially and residentially. They serve the Essex County, Hudson County, Bergen County, Passaic County, and NYC areas in towns such as Hoboken, Norwood, Jersey City, Fort Lee, Short Hills, Wayne, Totowa, Hackensack, Wyckoff, Glen Rock, Leonia, Oakland, Garfield, Fairview, Essex Fells, Manhattan, and many more! 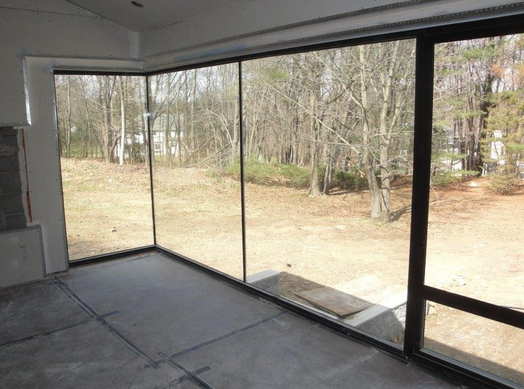 Do You Need to Replace Your Sliding Glass Doors? Sliding glass doors are a convenient and beautiful addition to any home. They make it easy to enter and leave your dining area to bring food and supplies to your patio, and also allow lots of sunshine and light into a room. Sliding glass doors give you a wide expanse from which to glimpse the outdoors. However, sliding glass doors can also be terribly inefficient when it comes to saving energy. You can reduce this likelihood by replacing them as needed. If you notice any of the following signs, replacing your sliding glass doors should be at the top of your home to-do list. Gaps in the Door – If you can see gaps in between your sliding glass doors or in between the door and the frame, you are losing money. Heating and cooling your home with gaps in your sliding glass window ensures that you are losing energy from inside your home to the outside. If you have a difficult time determining if there are gaps, wait until night falls, then have someone stand outside with a flashlight while you stand inside. If you can see light streaming in through your sliding glass door, you should replace it soon. There’s a Draft – Stand by your sliding glass door. If it is hot outside, you should not feel a rise in temperature. During the colder winter months, standing by your door should not make you feel cold. Any change in temperature near your sliding glass door should prompt you to change them. Doing so can save you a great deal of money on your utility bills as well as improve your comfort level. In addition, any savings you get now will continue for the months and years that follow. They are Difficult to Open and Close – Sliding glass doors that are difficult to open and close are not only annoying, they can be dangerous as well. If your children, for example, cannot get out of your home in case of an emergency because the sliding glass doors stick, tragedy could result. Sometimes, sliding glass doors are difficult to open and close because it has become misaligned from its tracks. In other cases, the rollers could have sustained some damage. Weather and a poor installation job are other causes that could result in the frame becoming damaged. Sometimes this problem can be fixed without a full replacement, but not always. 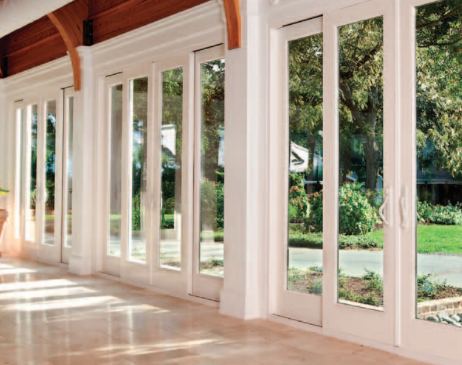 Looking for Sliding Glass Doors? Florian Glass Service offers many glass products and services for buildings commercially and residentially. They serve the Essex County, Hudson County, Bergen County, Passaic County, and NYC areas in towns such as Hoboken, Norwood, Jersey City, Fort Lee, Short Hills, Wayne, Totowa, Hackensack, Wyckoff, Glen Rock, Leonia, Oakland, Garfield, Hasbrouck Heights, Essex Fells, Manhattan, and many more! NYC glass partition walls are not only beautiful, but stylish and timeless too! Though color fads will come and go, a bright, light, and open workspace will never go out of fashion. In addition, glass is extremely durable, so it won’t tarnish or fade like other materials. If you are interested in updating your current office space without risking a style that will look outdated or need updated again in a few weeks, glass partition walls are for you! The distinct modern edge that is communicated by your NYC glass partition walls will leave your clients with a great first impression. Subconsciously, glass partition walls send the signal that you are not only focused on the future, but are clean, sleek, and modern. In the competitive market, first impressions are essential, and glass walls will certainly leave a great first impression! 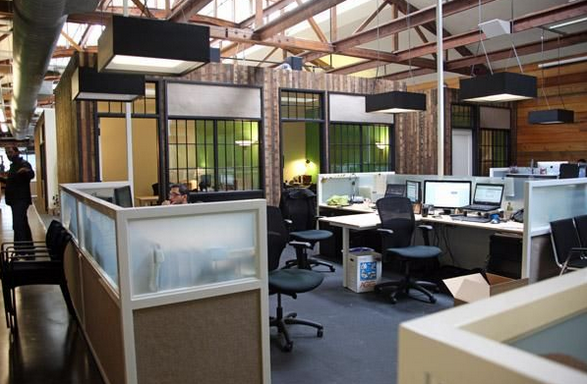 NYC glass partition walls increase communication between employees and between clients. If you know who are you approaching and talking to before the office door opens, you will be able to more effectively communicate comfortably. It is much less intimidating to speak with someone who is essentially in the same room (with only glass between you) than with someone behind closed doors. NYC glass partition walls will decrease the level of awkwardness often felt between employees and when a new client considers your business. The sense of integrity communicated by NYC glass partition walls shares a commitment to honesty and openness. If you are interested in building sense of community and teamwork among your employees, glass partition walls will help! In addition, glass will establish trust between your company and your clients. Shut down the sense of something being shut “behind closed doors,” and communicate integrity with NYC glass partition walls. 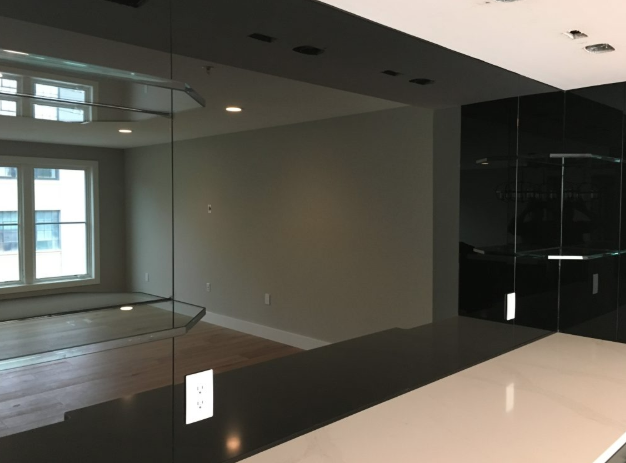 If you are interested in learning more about NYC Glass Partition Walls or would like them installed in your place of business, call Florian Glass Service today! A gloomy business environment is never a good thing for business owners and their workers. Something that can make a drastic difference is installing business skylights. The awesome effect that natural light has on humans is shocking to most people. Here are some things that business skylights can do for your workplace. Benefit from increased work output and productivity – Science now backs up what many people have known for decades: natural light makes you more productive and efficient. Workers achieve a higher productivity level when stationed in naturally lit environments than when located in outdated offices with artificial lighting. In this way, the cost of switching to skylights and natural light pays for itself via increased productivity. Create a more comfortable and appealing workplace – Artificial lighting has a variety of negative health effects. Some people have trouble sleeping properly when they spend large amounts of time in artificially lit buildings, while others struggle with headaches and reduced energy levels when their natural sun exposure is limited by office lighting. Installing small skylights in your office, retail store, or workplace can have a huge positive effect on employee comfort and happiness. Since sun exposure is one of the most important elements of good health, using skylights to light your office keeps your team focused, efficient and more comfortable at work. Reduce stress levels and keep your team motivated – Natural light can reduce feelings of stress, frustration and overall tiredness. As little as 10 minutes of exposure to sunlight every day is enough to cut your stress levels dramatically, helping you achieve a better level of health and a more satisfying life and career. Natural light can also increase your motivation and keep you focused on the task at hand. Even with diffusing filters, the natural light from a skylight will help keep your team more motivated and relaxed throughout the average workday. Lower your energy bills and improve the environment – The cost of energy is on the rise, and artificial lighting continues to be one of the biggest utility costs for most businesses. While some artificial lighting may still be necessary for your workplace, it’s possible to drastically reduce your energy bills by installing skylights. With the right skylight placement, you can completely light your office during the daytime with natural light alone. Good planning and the right skylights make significant reductions in your energy expenses. Seeing reductions of 30% or more per month can be very possible for your business. Increase your sales team’s close rate and earnings – Natural light helps sales teams close deals and market products more effectively. There’s a reason photographers prefer natural light above all artificial light sources. It makes products look better and encouraged customers to interact with them. Florian Glass Service is offers & installs business skylights as well as many other glass products and services for buildings commercially and residentially. They serve the Essex County, Hudson County, Bergen County, Passaic County, and NYC areas in towns such as Hoboken, Norwood, Jersey City, Fort Lee, Short Hills, Wayne, Totowa, Hackensack, Wyckoff, Glen Rock, Leonia, Oakland, Garfield, Hasbrouck Heights, Essex Fells, Manhattan, and many more!